Thwarted activists in one state are already preparing for 2018, Trump chooses an ardent, unreconstructed drug warrior as attorney general, the surgeon general endorses harm reduction, and more. Michigan Legalizers Gear Up for 2018. This year, legalization advocates came up just short in their bid to qualify an initiative for the ballot after state courts ruled that some of their petition signatures came outside a specified time-frame for signature gathering. But, buoyed by election results in other states where weed was on the ballot, MI Legalize say it is preparing to try again in 2018. The group will need to come up with about 250,000 valid voter signatures in a six-month period to qualify. Donald Trump Selects Drug Warrior Senator Jeff Sessions as Attorney General. The Alabama Republican senator, who once said that the Ku Klux Klan was, "OK, until he learned that they smoked marijuana," has a track record of opposition to marijuana reform. Earlier this year, Sessions spoke out against marijuana legalization in a Senate hearing, and urged the government to send the message to the public that "good people don't smoke marijuana." He has also said in a separate hearing that marijuana cannot be safer than alcohol because, "Lady Gaga says she's addicted to it and it is not harmless." Sessions is also a proponent of harsh sentences for drug offenses. 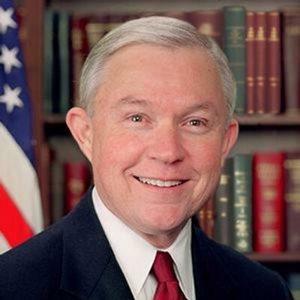 Sessions was the chief opponent of recent bipartisan efforts to reduce sentences for drug offenses, demagoguing that "this proposal would provide for leniency for illegal alien drug traffickers," and voting against the bill in the Judiciary Committee. US Surgeon General Issues Addiction Report Endorsing Harm Reduction. The office of the Surgeon General has released a report on alcohol and other drug use that endorses harm reduction and calls needle exchanges "an important strategy." The report by Surgeon General Dr. Vivek Murphy also acknowledges the role of harm reduction in "meeting people where they're at," saying that such programs meet the "needs of those who are not yet ready to participate in treatment" and those "who may not be ready to stop substance use -- offering individuals strategies to reduce risks while still using." The report identifies drug abuse and addiction as the nation's number one public health problem. Singapore Hangs Nigerian Man for Five Pounds of Weed. Chijoke Stpehen Obioha, 38, a Nigerian citizen, was hanged Friday in Singapore after being convicted of trafficking 2.6 kilograms of marijuana. He had been jailed for nine years after his 2007 arrest. Under Singapore law, anyone caught with more than a pound of marijuana can be sentenced to death. In 2015, Singapore executed four people, one murderer and three drug offenders. I lived in Alabama for many years and heard about his doings often. He is a jerk. Worse than that. Killing someone for marijuana? Sounds like Duterte and Sessions agree on that. There is nothing "conservative" about the War on Cannabis. This is not a "Republican Vs. Democrat" issue. This is about preserving the right of We, the People, to help shape our nation. This is about standing up for ourselves. No longer can we play "Mr. Nice Guy" and expect to keep our momentum. Doing it "their way" only got us so far. If we don't fight like lions, we will be eaten. We must not tolerate dinosaurs like Sessions having influence on States' rights. Prohibitionists need to be shamed for the decades misery they've brought our nation. We are the good people, not him. oppose Jeff Sessions for Attorney General.